The ten day Tanzania safari package offers you the opportunity to see and experience more, much more than you would see on a two day safari. This safari package is often enjoyed by people traveling is groups and it takes you to places such as the Sanje waterfalls, Udzungwa national park, the Serengeti and many more exciting places. 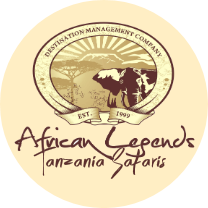 After arrival in Tanzania you will be transported from Dar es Salaam early in the morning, and taken to Udzungwa National Park. You will arrive in the late afternoon, but you can enjoy a short guided walk in the park even then. You will have dinner and spend the night at previously arranged accommodation places. 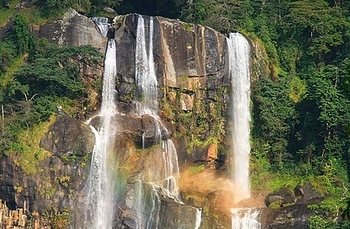 On day two, after an early breakfast, you will take a walk in the park and go on up to the magnificent Sanje waterfalls. The view is amazing! Remember to carry your camera and take pictures. You will also enjoy a full tour of Udzungwa national park. this park is one of Tanzania’s hidden gems. It is not as famous as the Serengeti, but it does have a lot to offer by way of flora and fauna. There is a variety of wildlife that you will see as you enjoy you Udzungwa tour. Animals such as leopards, elephants, buffaloes, Red Colobus monkeys, are some of what you will see. It is also a good birding destination with a variety of bird species including the Rufus winged sunbird, Iringa Akalat, Lagden’s bush shrike, and the Udzungwa partridge among others. After an early breakfast you will set off for Ruaha national park. The drive to Ruaha is a truly fascinating one which gives you the real feel of the African countryside. On the journey you will see some villages, and sisal plantations and rise of the rift valley escarpment. On arrival in Ruaha, you will be taken to your lodge for the night. After an early breakfast you will head out to Ruaha national park for a day of game viewing. You will go on a hunt for wildlife such as wild dogs, elephants and buffaloes among other animals. You will take a break to enjoy a picnic lunch in the park, and then continue with an afternoon game drive. Afterwards its is back to the lodge for much needed rest as you prepare for the next day. On day five, you will still explore more of Ruaha national park, this time on foot. You will be taken on a walking safari in the park. You will have armed guides so no need to worry. Walking safaris are a chance to enjoy the crispy fresh air of the tropics, and to see exotic plants and trees, birds, and some smaller animals. Later you will go on a game drive, to finish off your visit to Ruaha. Mikumi national park is your next stop after Ruaha. Mikumi is found between the Uluguru and the Udzungwa mountains and is hope to various species of wildlife. Some of the animals you will see here include; giraffes, lions, buffaloes, elephants, lions, zebras, and leopard. After breakfast depart for Mikumi National Park via a traditional African village at Twingamalenga. Enroute to Mikumi, you will pass via a traditional village at Twingamalenga, where you will see lots of African merchandise on display. And interact with some of the locals. On arrival, you will go on a game drive in the park and then retire for the night. day seven starts off with an early breakfast, and then an early morning game drive in Mikumi national park before heading out to Selous northern gate. The drive to Selous game reserve will bring you to some very scenic sights in southern Tanzania such as the villages and the Uluguru Mountains, which are a highlight along the way. On day 8, you will get the opportunity to explore the magnificent Selous game reserve. Game drives, a picnic lunch in the park, and visits to the hot springs are some of what you will see in the game reserve. On the last leg of you 10 day safari, you get to enjoy the waters. You will be taken on an early morning guided safari walk, and later go on a boat safari on the great Rufiji river. On the boat ride you will see several water birds and aquatic animals. Afterwards, it’s back to the lodge to freshen up, get some dinner and turn in for the night. Departure This is the last day of your safari, you will be transferred back to dare s salaam and then on to the airport so you can head back home.